Galaxy Note Edge was one of the 4 devices Samsung showcased at company’s IFA event back in September. This Korean manufacturer also introduced the most popular one among the bunch, their new Galaxy Note 4 phablet, Gear S Tizen-based smartwatch and Gear VR Virtual Reality headset for the Note 4. Galaxy Note 4 is already selling great even though its availability is limited at the moment and there are some consumers who are waiting for the Galaxy Note Edge. This device is kind of a concept / prototype device from Samsung. It sports an “Edge” screen on the right side of the device and that screen works as a separate panel basically, it changes its content depending on what you’re doing on the main screen. 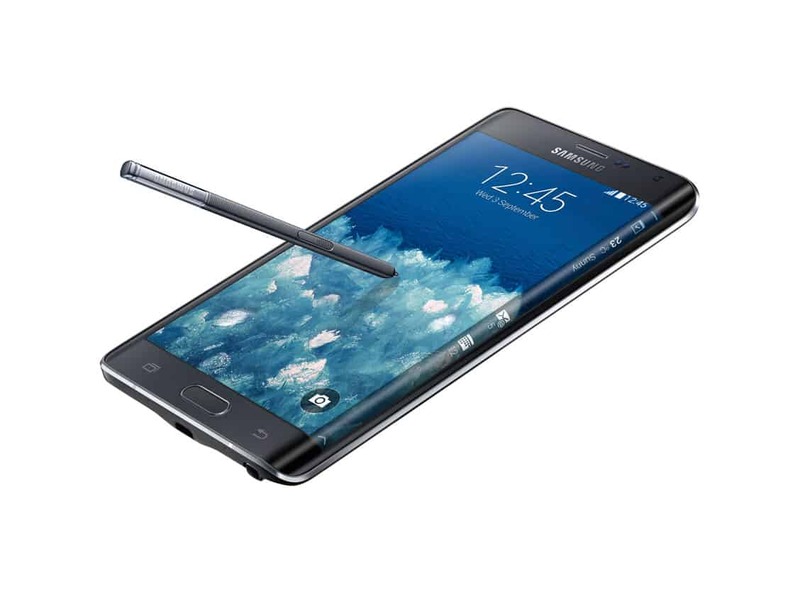 Galaxy Note Edge sports the same software features as the Note 4 and it even comes with the S Pen stylus. Anyhow, Samsung Tomorrow (Samsung’s Official Global Blog) has just unboxed the Galaxy Note 4 and showed us its official Flip Cover which covers up your phone but lets you access the Edge screen even when the cover is on and closed. They unboxed a Korean version of the device which was safely tucked away in an environment-friendly box with a letter “E” on top of it. Contents of the box, other than the device itself, are: owner’s manual, a USB Cable, a fast charging USB charger, pair of earphones, extra earphone tips, extra S Pen tips and a battery which you have to insert in the device itself before you turn it on. Once again, this is a Korean version of the device and the packaging may differ from market to market. You can check out the full video unboxing below this article. As far as specs go, Galaxy Note Edge features a 5.6-inch 2K (2560 x 1440) Super AMOLED display, 3GB of RAM and 32 or 64GB of internal storage (depending on the model you get). This handset is powered by Qualcomm’s Snapdragon 805 quad-core CPU clocked at 2.7GHz and it comes with a 3000mAh battery. On the back of the device, you’ll find a 16-megapixel camera with Smart OIS and an LED flash. The device also features a UV and HRM, RGB ambient light, proximity and gesture sensors, a fingerprint scanner, etc. Metal frame is also here, just like on the Galaxy Note 4. The device also has a 3.7-megapixel shooter available up front and it ships with Android 4.4 KitKat with Samsung’s Revolving UX on top of it. 151.3 x 82.4 x 8.3mm are the dimensions of the device and it weights 174 grams. This is also a 4G LTE device. You can check out its full specs here. The post Check Out Samsung Tomorrow’s Galaxy Note Edge Unboxing appeared first on AndroidHeadlines.com |.